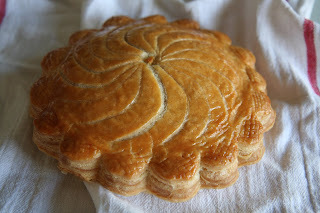 When I first saw a picture of the Pithivier a month ago at the beginning of the program, I thought to myself that it is not possible for me to make something quite so "perfect" looking. Today, I proved myself wrong. I can't believe it, this entire thing was hand shaped. There were no special tools involved. 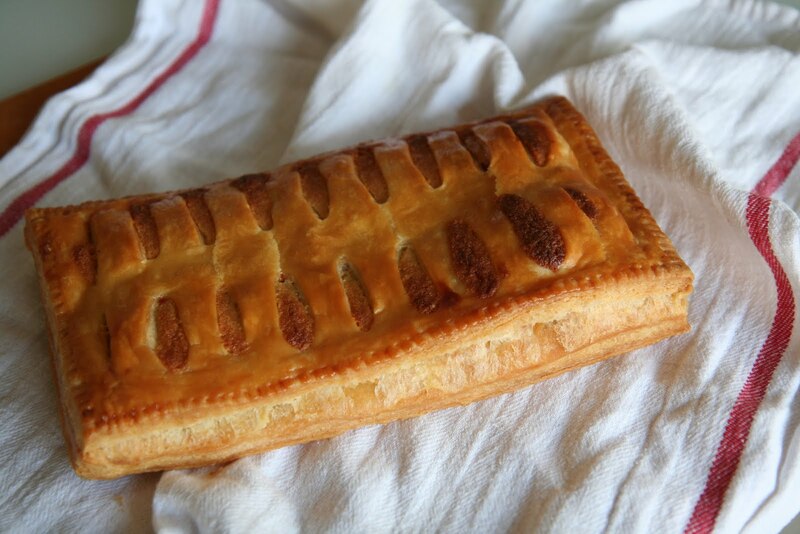 We used a big piping tip to trace the shape for the scallop edges and a paring knife to score the rest. 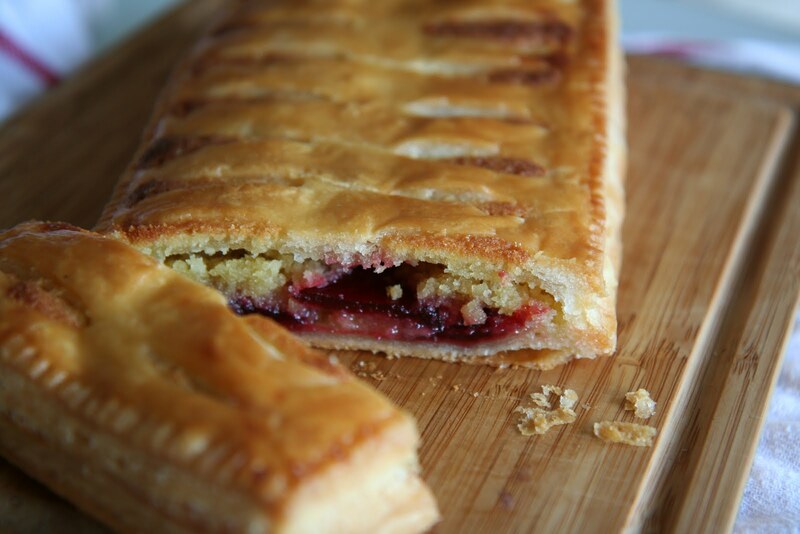 The next dessert is called "Jalousie". According to Merriam-Webster, Jalousie is a blind with adjustable horizontal slats for admitting light and air while excluding direct sun and rain or a a window made of adjustable glass louvers that control ventilation. This explains it. 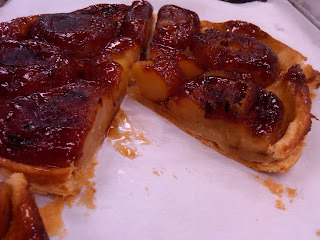 We also made Tart Tatin, and I ate a slice for dessert after lunch ^_^. It was DELICIOUS! Gosh, the pastry that you dropped off yesterday with the almond creme and berry jam was so delicious. I ate some for dessert last night and the rest with coffee this morning like you suggested. What a fine breakfast! Wow, everything looks so delish!!! "The only limited resource we have is time, so do what you love"
I've wanted to attend pastry school for a long time. With an undergraduate degree in finance and a graduate degree in accounting, culinary school just isn't a "natural" progression for my career in corporate finance. Pastry school remained just a dream. When I found out that my job was coming to an end I revisited the idea of pastry school. On May 5th I finally took the plunge. 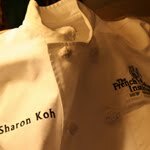 I signed up to attend the 6-month professional pastry program at the French Culinary Institute. I was thrilled! Thanks to all my friends and family who patiently listened to my endless "think out loud" sessions as I try to rationalize my decision up to this point.... so... Sweet Kitchen, here I come! How Desserts Get Its Bad Rep.